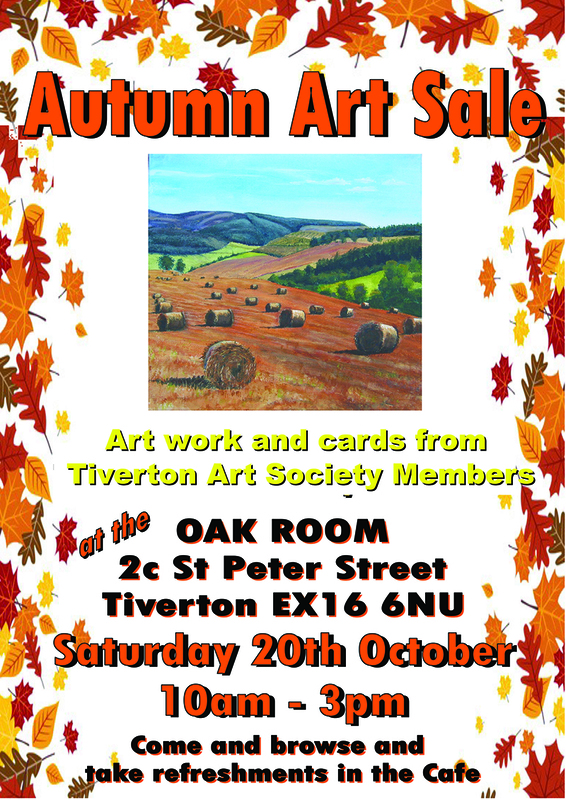 Tiverton Art Society will be holding an Autumn Art Sale in the Oak Rooms in Tiverton on the 20th October 2018. Opening times will be from 10pm till 3pm, lots of art work, prints and cards to buy. The location also includes a tea/coffee shop. Great time to start thinking of gifts etc.